(Smithfield, N.C. - August 11, 2015) – Visit North Carolina announced today that domestic visitors to Johnston County spent $214.94 million in 2014, an increase of 5.10 percent from 2013. "Not only did our visitor spending increase in calendar year 2014 as the results of the VisitNC study shows, the Johnston County Visitors Bureau just closed the books on FY 2015 with record numbers. 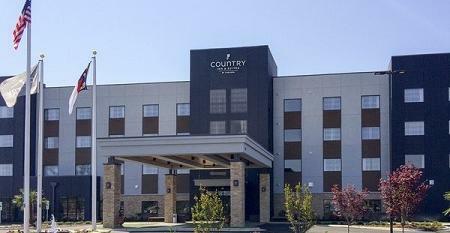 Occupancy Tax collection was up 12% for area hotels, which indicates a healthy economy for tourism in 2015 as well," stated Donna Bailey-Taylor, President/CEO. The travel and tourism industry directly employees more than 1,700 in Johnston County. "If not for the $16.96 million in state and local taxes paid by tourists visiting Johnston County, each of the 60,700 county households would pay $282 more in taxes to replace the taxes generated by tourism spending," remarked Bailey-Taylor. "Tourism has a direct impact for all citizens of Johnston County, thanks to the many visitors traveling through the county along interstates 95, 40 and 70 choosing our destinations for accommodations, shopping, dining, meetings, recreation, and visiting area attractions." Gov. Pat McCrory announced in May that visitors to North Carolina spent a record$21.3 billion in 2014, an increase of 5.5 percent from 2013. These statistics are from the “2014 Economic Impact of Travel on North Carolina Counties.” The study was prepared for Visit North Carolina by the U.S. Travel Association. State tax receipts as a result of visitor spending neared the $1.1 billion mark in 2014. The figure represents 4 percent in growth over 2013’s $1.0 billion. Visitors spend more than $58 million per day in North Carolina. That spending adds more than $4.6 million per day to state and local tax revenues (about $2.9 million in state taxes and $1.7 million in local taxes). The travel and tourism industry directly employees more than 200,000 North Carolinians. The Johnston County Visitors Bureau oversees the marketing efforts for the county to attract and serve visitors, therefore increasing the economic impact for the local economy. The Visitors Bureau is funded by the 3 percent room tax paid by overnight visitors to the county. In addition, the Towns of Benson, Kenly, Selma, and Smithfield have a 2% occupancy tax that is managed by the Visitors Bureau and is dedicated to each town&apos;s marketing efforts. To learn more about the Johnston County Visitors Bureau, please contact Donna Bailey-Taylor at 919-989-8687 or explore the website. Photo Caption: New tourism development is on the rise in Johnston County with the Country Inn & Suites slated to open in December, 2015.